A parable of an “accidental” life after death becomes a beautiful and inventive love fantasy to heal the losses and rifts of World War II (released for Christmastide 1946). 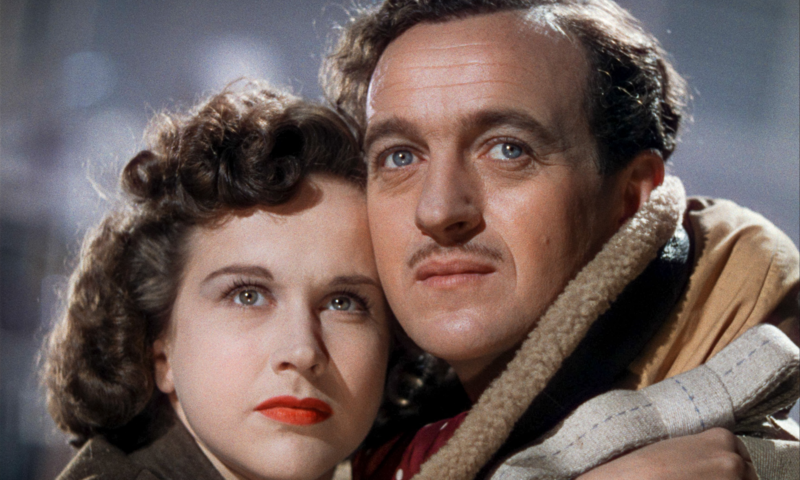 A dashing pilot (David Niven) connects with an American radio operator (Kim Hunter) in the moments before his crash. Yet, a bumbling angelic “conductor” cannot find him in the fog to take him to the other world, leaving him alive by mistake. As a cosmic trial ensues – in pearly black and white – we are asked which is stronger: the eternal law of the universe, or love? A gloriously restored romantic classic by British duo Powell and Pressburger (The Red Shoes, 34th).